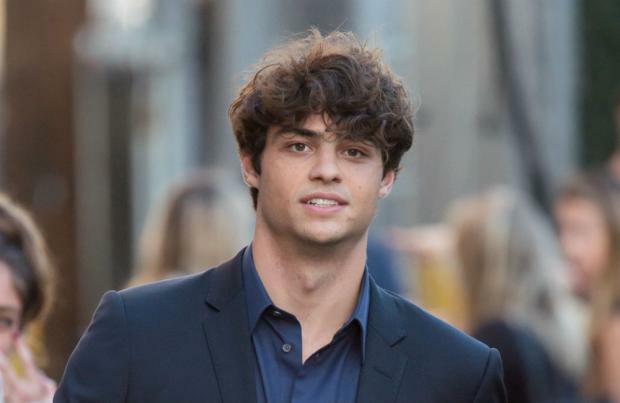 Noah Centineo is in talks to play He-Man. The 22-year-old actor is reportedly set to star in Sony Pictures and Mattel Films' upcoming live-action film reboot of the 'He-Man and the Masters of the Universe' 1980s toy line and cartoon, according to The Wrap. The 'To All The Boys I've Loved Before' star worked with Sony on the hotly-anticipated 'Charlie's Angels' reboot and Variety reports that the studio are "eager" to work with Noah once again. The film will be helmed by Aaron and Adam Nee, while Art Marcum and Matt Holloway, penned the script after taking over from David S. Goyer. Plot details are as-yet unknown but the original animated series focused on Prince Adam who lives on the planet Eternia and can use his Sword of Power to turn into He-Man, the most powerful man in the universe, by uttering the words "By the Power of Grayskull!" He-Man must use powers to defend Eternia from the evil Skeletor whose goal is to conquer the mysterious fortress of Castle Grayskull, from which He-Man draws his strength, so he can rule Eternia and the rest of the universe. In 2016, director McG proclaimed he was "laser-focused" on making a new 'Masters of the Universe' film and insisted the upcoming He-Man reboot was his "absolute passion", however, it was announced last year that the 'Charlie's Angels' director was no longer attached to the project. The cartoon was previously brought to the big screen in 1987 as a live-action movie with Dolph Lundgren playing He-Man and Frank Langella as Skeletor. A young Courteney Cox also earned just her second film credit playing the character Julie Winston who aides He-Man in his quest to save Earth from the invading Skeletor.